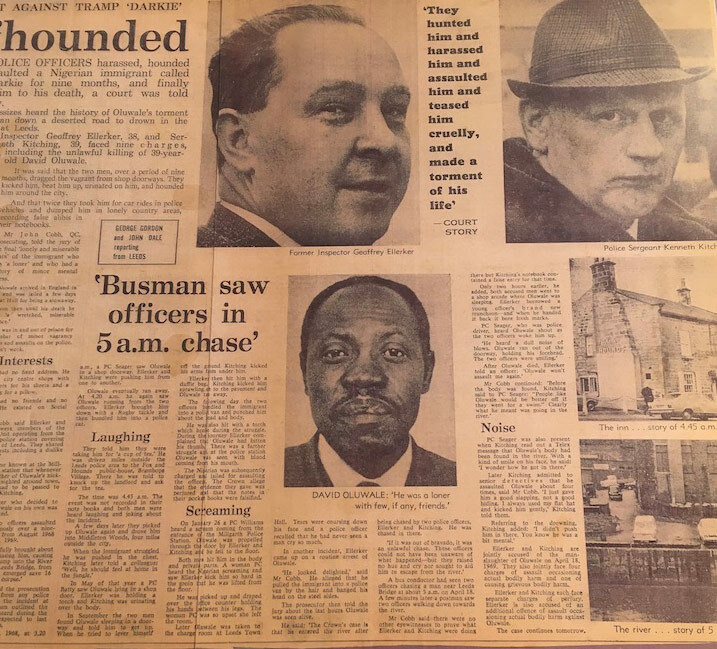 We agree with Chief Superintendent John Perkins, of London’s Metropolitan police, that Inspector Ellerker and Sergeant Kitching were guilty of murder. That’s the charge he recommended, after months of painstaking investigation, in which several honourable police officers testified against their “superiors”. We believe Ellerker and Kitching were the men in uniform seen by David Condon. But the Department of Public Prosecutions downgraded it from murder to a manslaughter charge. We think the Judge misdirected the jury, but that’s another story. (There’s much more information on the WHO page). Tickets are selling well for this event so book now! Eventbrite link to information and tickets. 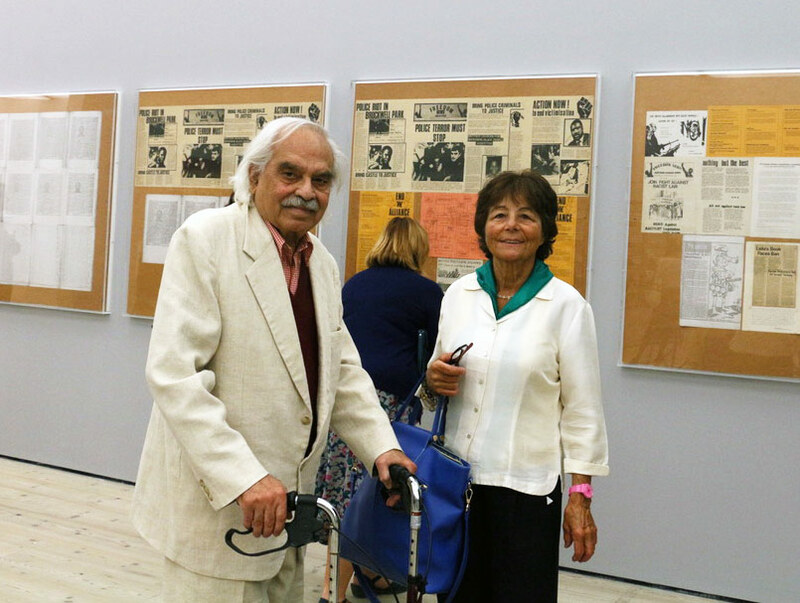 London-based Rasheed Araeen was one of the first artists to respond to the death of David Oluwale. 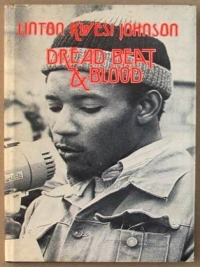 He produced For Oluwale (1972-5) in a series of responses to the reports in the national press of the trial of Ellerker and Kitching. The original work is currently on display at The Baltic in Gateshead. His For Oluwale 2 made in the 1980's is now on display at The Tetley Centre for Contemporary Art and Education in Leeds. RememberOluwale helped with the organisation of this exhibition — it’s on for the next few months so please go to see it! At The Tetley now, a page from the Yorkshire EVening Post’s coverage of the trial. Police photo of the River Aire in 1971 around the place at which David was drowned. 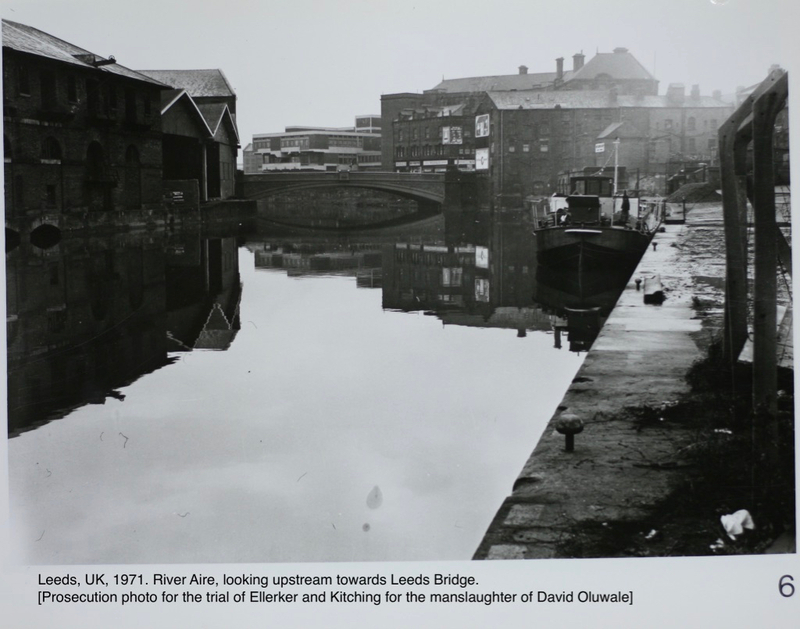 Exactly 50 years after David’s death in the River Aire near Leeds Bridge, we will gather in his honour with songs, music and speeches from the Nigerian Community, Leeds and others. 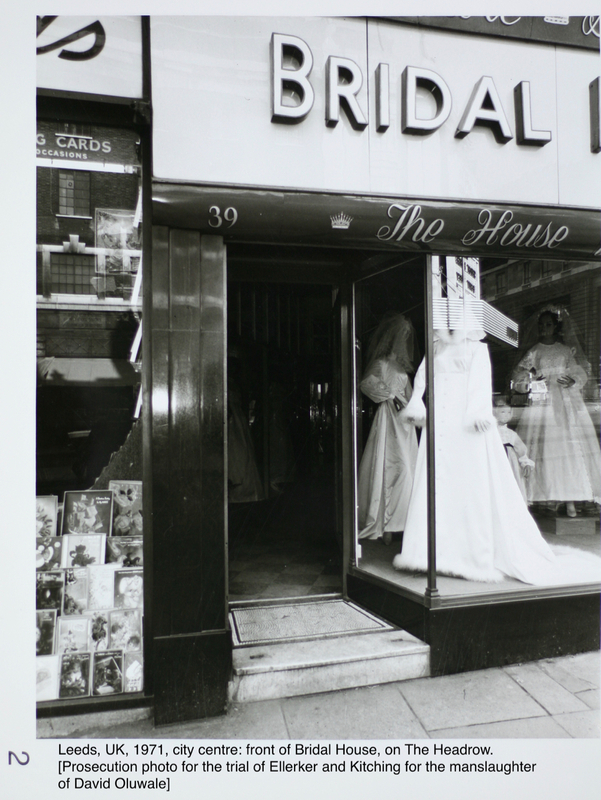 Police photo of Bridal House, Headrow Leeds, where David slept, 1971. The historian, writer and actor Joe Williams (Heritage Corner) will lead a guided walk around David Oluwale’s places in Leeds city centre. 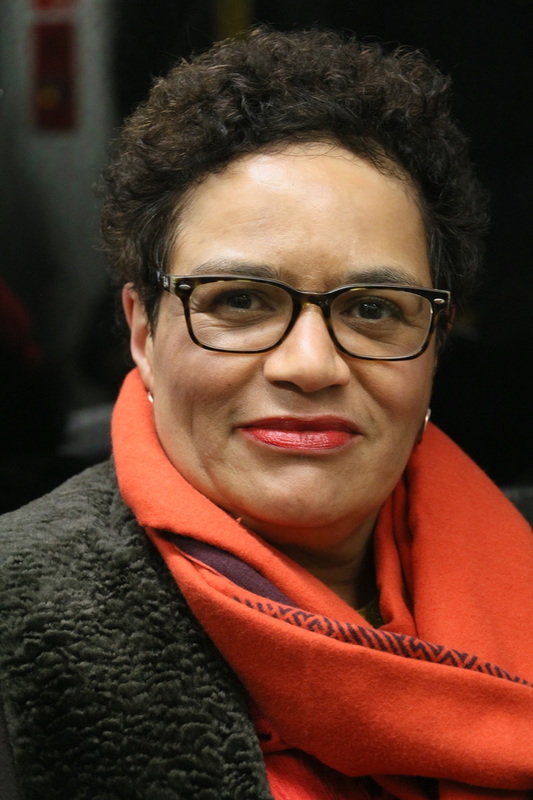 He will show us where David enjoyed himself in his first few years from 1949, where he slept rough in his last two years, and where he drowned on 18th April 1969. We are planning an informal discussion at Leeds Library shortly after the end of this walk. Empathy (dir Harry Sullivan, with Ogun Arts poets performing live; 3 mins). Plus Q&A with the directors. Watch out for David Oluwale artwork on the barrels that advertise events in Leeds and on selected billboards (eg. at the Leeds United stadium) throughout April. One piece is inspired by Rasheed Araeen and the other is by artist and graphic designer Andy Edwards. Our flagship project is the creation of a memorial garden in the centre of Leeds, close to the River Aire, that will help us to remember David, and to promote a hopeful and creative city here in Leeds. We have commissioned an internationally famous artist to build a sculpture arising out of water and surrounded by greenery and benches. We are at an advanced stage in agreeing a site for this sculpture garden. and the gardens will be playful places, attractive to people of all ages and types. 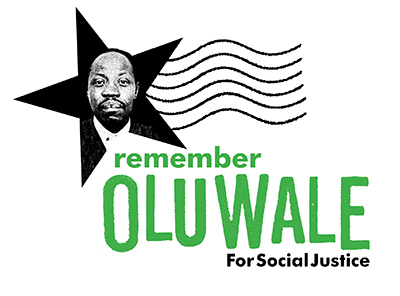 RememberOluwale uses Facebook, Twitter and Instagram to provide information published today that relates to the issues that marked David’s life: mental ill-health, homelessness, racism, destitution and police malpractice. David was a British citizen who migrated here, so we also provide information relating to those seeking refuge in the UK. We give credit to the city of Leeds for the progress it has made since David’s days. But there is so much more to be done. 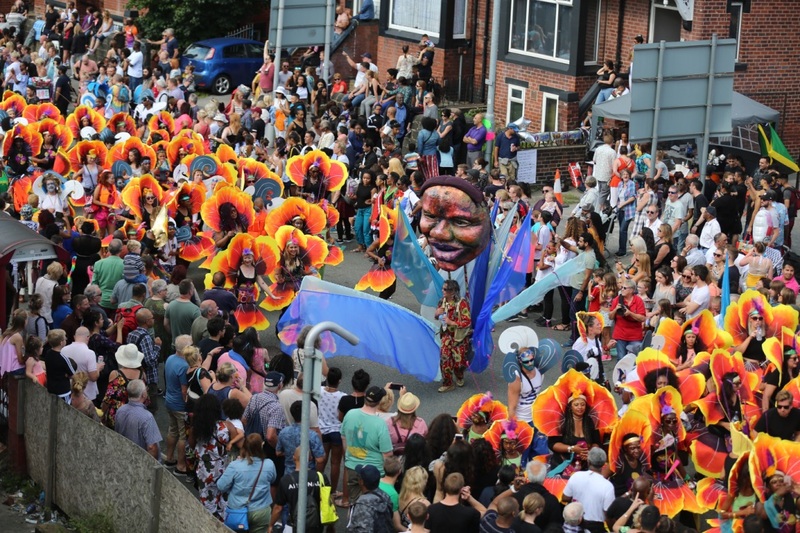 Our aim, always, is to help the city of Leeds become more inclusive, more just, more hospitable and more equal. Please go to our social media to find out about current campaigns. David Oluwale Memorial Association. A registered charity No. 1151426. A company limited by guarantee No. 8107693.